National’s Routemaster 640 offers dealers an aftermarket channel for the purchase of all-makes School Bus Drivers Seats. The Routemaster 640 is built on a dual-shock, adjustable HP2 air ride suspension with six inches of vertical travel and a premium National Seating Commodore upper. 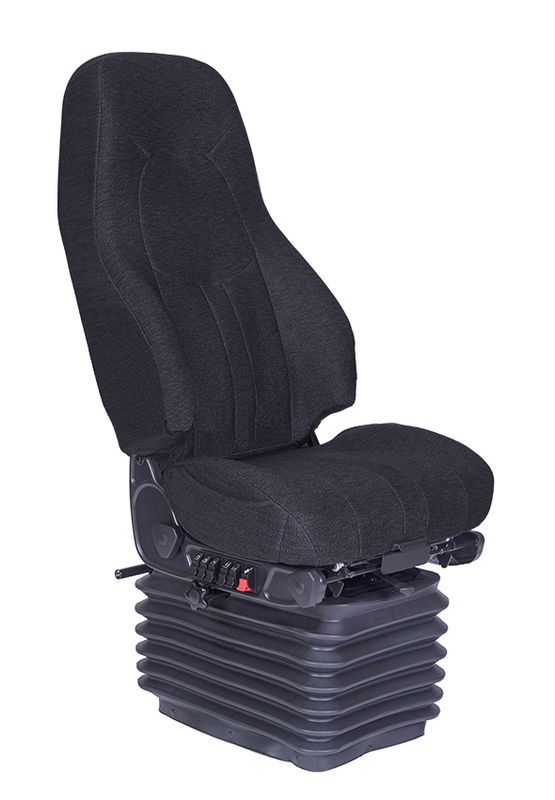 Standard features include luxurious charcoal or black Mourdura cloth, adjustable air lumbar support as well as triple cell air lumbar and air-adjustable cushion bolsters, and a six-way adjustable seat cushion mounted on 8.8 inches of fore/aft adjustment for better pedal reach for improved safety. The standard features provide exceptional performance with optional features including single or dual adjustable armrests and heated seats to improve driver comfort. 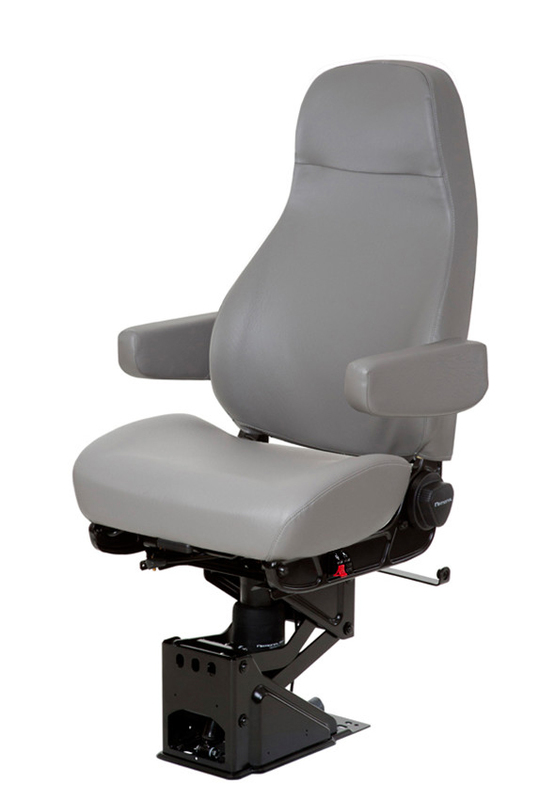 The Routemaster 310 seat meets or exceeds the industry standards FMVSS 207, 210, 222, and 302 for governmental compliance.